Marissa, a young heroin addict in Heroin: Cape Cod, USA. A gripping documentary about the heroin epidemic on Cape Cod has focused new attention on the power of addiction, and the unprecedented toll it takes on addicts, their families and their communities. Heroin: Cape Cod, USA produced by HBO and directed by Oscar-winning documentary filmmaker Steven Okazaki, follows eight young people from the Cape through the desperate world of addiction. 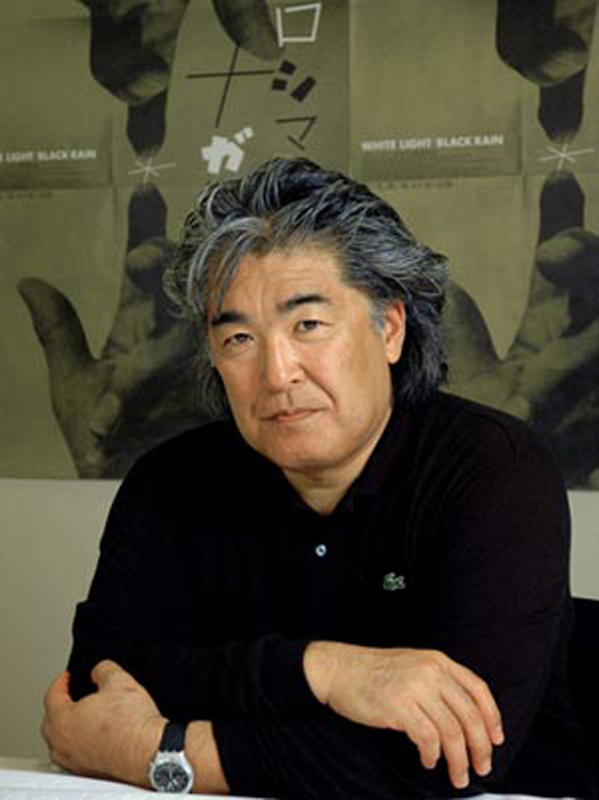 Mr. Okazaki and his film crews were able to get extraordinarily close to their subjects, all in their 20s. They talk openly about their singular quest for heroin, and the money needed to buy it. The film is graphic, with scenes of the addicts cooking heroin in dirty spoons, shooting it into their veins with hypodermic needles, traveling to Boston neighborhoods where drug connections go awry, and mumbling their way through the stupor of an opiate haze. And yet the subjects are also frightening in their normalcy: a high school athletic star, a college student who achieved high honors in school, a young mother taking care of two adorable children. The documentary illustrates, in the stark glare of real life, the grip of addiction. “Every time I shot up, it was like Christmas morning,” said 23-year-old Arianna in the film, describing her early use of heroin. The next scene shows her drawing heroin into a syringe. Both young women died of drug overdoses before the film was released. Mr. Okazaki made a documentary about heroin addiction in San Francisco two decades ago. He decided to return to the subject after researching the dramatic increase in drug overdose deaths from opiate addiction, which most often begins through abuse of prescription narcotic pain medications. In Massachusetts, opiate overdose deaths more than tripled from 2000 to 2014 according to the Massachusetts Department of Health. In 2014, the last full year statistics are available, an estimated 1,173 people fatally overdosed. 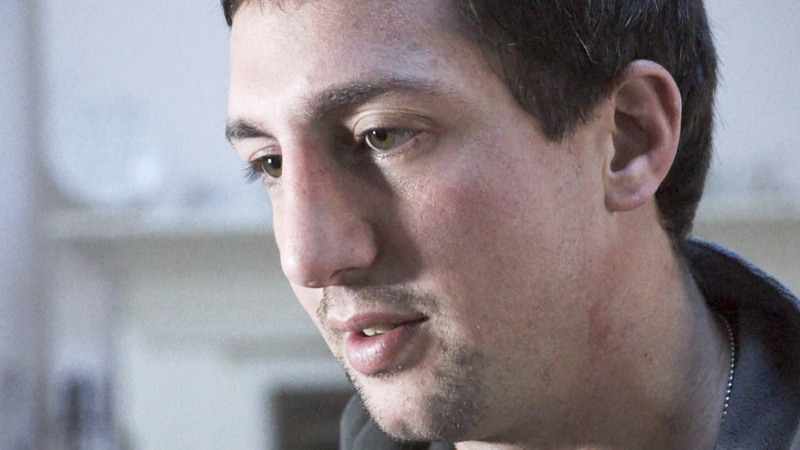 The filmmaker explored making the documentary in New Hampshire and Vermont, but settled on Cape Cod because he found parents and addicts more willing to talk about the epidemic. One addict interviewed on Martha’s Vineyard was not part of the film. She had agreed to participate, but a parent objected, according to Mr. Okazaki. In an initial meeting with parents in a Bourne support group who agreed to appear on camera, the crew hoped 10 people would participate. They ran out of chairs after more than 25 people showed up. Mr. Okazaki said most of the addicts agreed to appear in the film in the hope that others could avoid addiction. Mr. Okazaki said the film crews were careful to avoid any ethical dilemmas while shooting the documentary. The film crews did not observe any overdoses while making the documentary. They carried naloxone with them, a drug sometimes known by the brand name Narcan, which can reverse the effects of a heroin overdose. The first screening of the film on Cape Cod included many of the parents in that initial support group. Mr. Okazaki said the response was mostly positive, though one parent walked out after seeing her son using heroin in the film. Edgartown police detective Michael Snowden, who saw the film shortly after it was released on HBO, said the film presented a real picture of a world few people see. Dr. Charles Silberstein, who treats many recovering addicts on Martha’s Vineyard, said the film was the subject of much discussion in his support groups. Mr. Okazaki said he approached the documentary hoping to humanize his subjects in part to counteract the oversimplified view of addiction that many people hold, including the perception that young people are to blame for choosing a life of addiction. Mr. Okazaki screened the film for Gov. Charlie Baker, the U.S. Surgeon General Vivek Murthy, and the White house drug czar Michael Botticelli, among many others, before its general release on Dec. 28 of last year. The movie will be screened on the Island at the Martha’s Vineyard Film Festival in late March. I watched this film a few weeks ago and I couldn't help but think that what I was watching was taking place everywhere across the USA. The film is well done,it's real, sad and most disturbing, makes you think of your own children. I counted my blessings after watching this. When we stop looking for someone or something to blame, we'll start looking for realistic answers and hopefully, solutions. Although I believe we must do so much to help mitigate the ongoing heroin epidemic, and I don't mean to detract from that, but there is a clearly a responsible party... The FDA. Not just the FDA but our entire broken healthcare system. The system is set up to make money, not help people. Many doctors have direct financial incentives to prescribe drugs to their patients—that isn't right. Too many people are being prescribed and over prescribed opiate based painkillers. It's sad to see our own healthcare system fueling this epidemic of addiction, anguish, and death. David I could not agree more. Why are these Doctors not being held accountable? I had tears in my eyes while watching it. I can't believe how cheap and easy it is to get. Can't we use a heroin drug sniffing dog on the boats to find the people bringing it in? I would think it would have a specific smell, but then again, I've only ever seen it on TV. The County Commissioners voted this week to earmark funds specifically to deal with the issue of substance abuse on the Island. We are working with the Dukes County Health Council with the goal of coordinating efforts on the Island and, hopefully, hiring a grant writer to pursue funding on the Federal and State level. There will be a presentation by the Substance Abuse Committee, along with Community Services, at our March 2nd meeting at 4:00PM in the County offices up by the Airport. We will also be discussing this acute and exponentially growing problem at the All Island Selectmen's meeting on March 10th. 7:00PM at the Tisbury Senior Center. The Commissioners also agreed to have the topic of substance abuse as a standing item on their monthly meeting agenda. We are very concerned and want to be a part of the solution. Our meetings are open to the public and we welcome your input. When people start realizing that addiction is not a disease it is a choice the sooner proper treatment can be put in place!! Clearly you have never been addicted to anything. I get the feeling you did not see this film, and don't know anyone who became addicted after being prescribed opioids. Well said, Rick ! And......let it not be said that a film, a newspaper article, and many public comments regarding heroin addiction should come our way without some mention of a possible solution for those who are suffering. Narcotics Anonymous and Alcoholics Anonymous has led many, many people out of the darkness of hopelessness and into the light of recovery. It is free and available to all, especially those who have a desire to stop using. It is not the only way to combat the disease of heroin addiction; it is only one avenue to find help. They can be found in all Yellow Pages. That is the dumbest thing I've ever heard. I didn't choose to become an opiate junkie. The only thing I ever wanted was to be sober and I battled for years. I only got worse. If I could have just "decided" to stop I would have. I've been sober almost 2 years now but for the grace of God and a 12 step program. I would really like to know what your "proper treatment" is because I went to countless therapist, psychiatrists, inpatient programs, and out patient programs and none of them worked. To "recovered addict" can you share what finally worked for you with either the health council or the County Commissioners? I'm sure they would put you on their agenda if you could help others. Some chronic pain suffers are able to use them without abuse, but others have that addictive gene. I guess the difference is that the cancer people and chronic pain people don't take them for the high. My wife has had to take for years and never once has abused them. (Course, I'm the one giving the meds to her.) I worry that the people that really need them for pain management will have a difficult time getting them because of all the abuse. Can't the pharmaceutical companies come up with one for pain that works that's not opioid based? In the old days, didn't they give methadone to people that suffered from heroin addiction? Looking back, that seemed like a bad idea. Agreed. Too many people are using the "disease" label to mitigate their inadequacies and weaknesses. People make choices to put harmful things in their bodies. What is your background to make that statement? It is opposite of everything we are told. My son died of an herion over dose last year so this is a battle I fought and lost for years. I don't agree with the addiction / disease label but have no medical background to back it up. I grew up on the cape. I had a parent that was mentally and physically abusive. I had low self esteem. I had behavior issues in school. I was sexually abused at 4 years old. My single parent was an addict and had many questionable people in our life. Through it all this parent maintained the materialistic part of our lives. However this parent was also suffering from mental illness- problelybfrom the drug addiction and/or recovery. I remember a DARE class we had in elementary school on the Cape. I paid attention. But one thing stuck with me: if your parents are addicts then you have a higher chance of becoming one. At the time, it was taught that addiction is something that runs in the family. It was taught that it is a disease. It's uncurable. It's a lifelong battle. I never forgot that. My childhood and the combination of that class helped me stay away from drugs. While my friends dabbled in Marijuana, hash, pills and acid in Junior high and high school- I experimented with Marijuana once or twice- regretted it and stayed away from it. In my mind I always believed if I tried marijuana, it would alter my judgement and then I might try pills, acid, hash and other drugs. My friends started off with marijuana, then hash, then acid .. And then pills. When they started marijuana I warned them this will lead to other drugs and you might get addicted. They didn't listen. They didn't care. Most of them did not end up as drug addicts. They ended up weed heads from the age of14-25. Now they have kids and decent jobs. Some of my friends however are addicts. I do not think there is a perfect formula when it comes to preventing addiction. In my opinion, schools should have more education on drug use and peer pressure. There should also be a course on character building or something to teach kids to have self esteem. I think perfectly normal kids can fall into heroin by experimenting in high school and then somehow it gets out of hand. In addition Being around the wrong people, hanging around the wrong friends. I did not become an addict because I was determined to be different from my parents. I also learned about the signs of addiction. i never allowed myself to dabble into drugs because I was afraid I would end up addicted. Due to my childhood I was more aware of the consequences of experimenting with drugs. I tried to set personal boundaries. However, I'm still not sure if it was fear that helped me or if I just had a strong will to say no regardless of the rejection I recieved from friends. Countless studies show how medical marijuana helps opiate addicts beat addiction. It's said how years later the state promised a dispensary in evey county and still nothing. It's so sad. I grew up on Martha's Vineyard and now I live in Colorado. Marijuana can SERIOUSLY help. I can't believe the state has not opened more medical marijuana stores, I believe it could help. It should be on the ballot next year to legalize and since our town and state reps refuse to allow one that by the way could help my wife with cancer, let's just legalize it, tax it on both city and county level and hopefully lower the taxes we have to pay. Or use those tax dollars to open an opioid addiction center to help others. Maybe before my wife dies, she could actually try it to see if it helps. I have no idea what studies you are referencing when you make the claim of "medical marijuana helps opiate addicts beat addiction", but with all due respect, I have been a member of AA since 1986, have met thousands of recovering addicts, yet I cannot name ONE that will give a first person affirmation of that statement. I will give you, that medical marijuana appears to have some efficacy in the treatment of heroin addiction, for a very small segment of the population. However, that statement, at best, alludes to the fact that some addicts find some relief from the psychological roller coaster ride of kicking dope. But at it's worst, that statement is a myopic view of a very serious medical emergency and/or the basis of a number of pretty good punchlines to modern day jokes. A lot of heroin use is the result of bullying and the user has no where to turn. This is especially true for islands as clicks are so important here. Ask yourself are u or your child contributing to this rampant bullying in our schools? Just saw the video on Youtube and It seems like it is a badge of honor to some in the film. No people don't become addicted "by choice", but it is the direct byproduct for those who make the choice to use addictive substances for recreation. and many do. American Society of Addiction Medicine Study - Adolescents (12 to 17 years old) In 2014, 467,000 adolescents were current non-medical users of pain reliever, with 168,000 having an addiction to prescription pain relievers. In 2014, an estimated 28,000 adolescents had used heroin in the past year, and an estimated 16,000 were current heroin users. 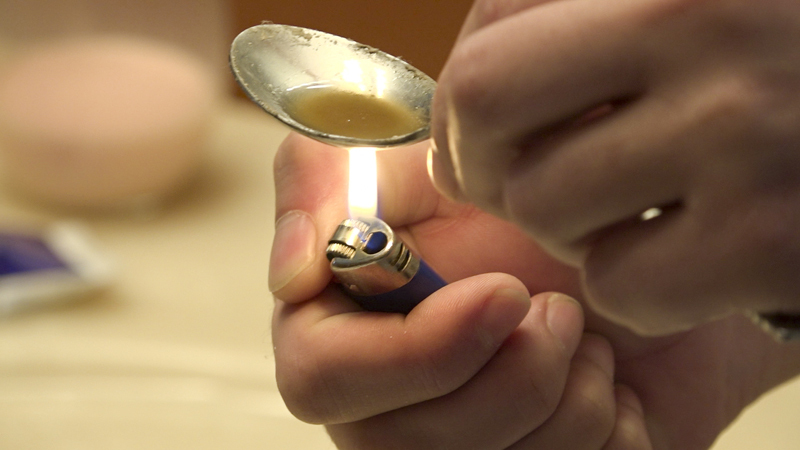 Additionally, an estimated 18,000 adolescents had heroin a heroin use disorder in 2014. People often share their unused pain relievers, unaware of the dangers of non-medical opioid use. Most adolescents who misuse prescription pain relievers are given them for free by a friend or relative. I think now is the time to move beyond assigning blame and fault to face the fact that opiates/heroin are a scourge on our community, ruining and ending the lives of way too many friends and neighbors.It is nothing short of tragic. Rather than devote more money to enlarging existing EMS facilities, cemetery fences and moving lighthouses, resources should be directed to fighting this crisis directly by arresting and charging dealers and funding long term treatment option for those facing addiction.The time is now. I had a idea abt how to help vulnerable kids and adults, when they find themselves in a social or bullying situation, regarding "using" for the first time, and obviously taking an enormous risk in doing so. Remember when the problem was drunk driving by teens, and adults, N's The Safe Ride solution was generated ? Well, what if we set up a texting and/or phone "hot line", which kids could turn to, when they found themselves in one of these ON THE BRINK situations, that would do two things: First, it would generate a vehicle with a GPS finder, to come and pick them up where they are ? And then secondly, it would drive them to a CENTRAL LOCATION, which would be known TO EVERYONE, where their anonymity would be protected, but where they would be received by a group of committed, sympathetic and non-judgmental people, of adults and teens, to become a part of a new social group / support network, possibly to be called ON THE BRINK. If people had listened to Nancy Reagan none of the would be a problem in the first place. It really is that simple. That is remarkably callous and wrongheaded. With all due respect, that's laughable. Sad to see how many ignorant people have commented on this. Eventually when you grow up you will be in contact with someone who is going through is and then maybe you will show a little empathy. Nobody, I repeat nobody wants to be addicted to opiates. I know firsthand it is hell on earth. Had any of the addicts been dosed daily with suboxone along with therapy after detox there would have been a different ending. Subs do save lives and give you you're life back but the patients need to be dosed in a controlled environment until they are stable. At least a year before take homes are given one week at a time with random counts. I just finished watching this documentary. It has certainly changed my perspective on this devastating problem. Admittedly, I always struggled with the notion that it was ever a good idea to stick a needle in your arm - under any circumstances. I just grew up in a different time. Some of the people featured in this documentary (or at least 85% of addicts in general) begin by abusing prescription drugs. Whether that be due to injury, illness, whatever the case. Another common thread that I observed was that some of these individuals seem to have self-esteem issues. I believe that some of this is derived from the fact that the youth of today have seemed to have lost all their hopes, dreams, or drive to shoot for the stars or see through any accomplishments or goals that they want or may have. Nowadays, everyone gets a trophy whether you are the best or worst player on the team. There is also a segment of the population who continuously reinforces to these young people but nothing is their fault, it is the fault of their divorced parents, their bad childhood, etc. Therefore, there seems to be less and less accountability and personal responsibility. Whatever the case, this documentary is sad and really hit home for me. In particular, I googled the obituary for the young girl toward the end of the film; Marissa. Dead of a heroin overdose at 23 years old. And it turns out that the hospital where she died is less than 5 miles from my house. That's how close this epidemic really is. R.I.P. and God help anybody dealing with this awful addiction. A bunch of rich spoiled kids. Even parents admitted they were giving them money and enabling them. Spoiled brats. How they affording jeeps and volvos and that house. Being a drug addict is your choice. You wanted to party and escape. Becoming addicted is science. So be smart and don't pick up that drug. It is your choice you spoiled brats.